The US Centers for Disease Control and Prevention (CDC) says outbreaks of the Zika virus are all but inevitable in the US, but that these outbreaks will be limited in scope. At the same time, the World Health Organization (WHO) has announced an emergency session to address the “explosive spread” of the disease, which has been linked to birth defects. Related: What is the Zika Virus? And Should We All be Worrying? “It’s understandable that people are nervous,” said Anthony Fauci, head of the National Institute of Allergy and Infectious Diseases at the CDC, “but there is currently no risk for Americans because we don’t have locally transmitted Zika virus in the United States”. 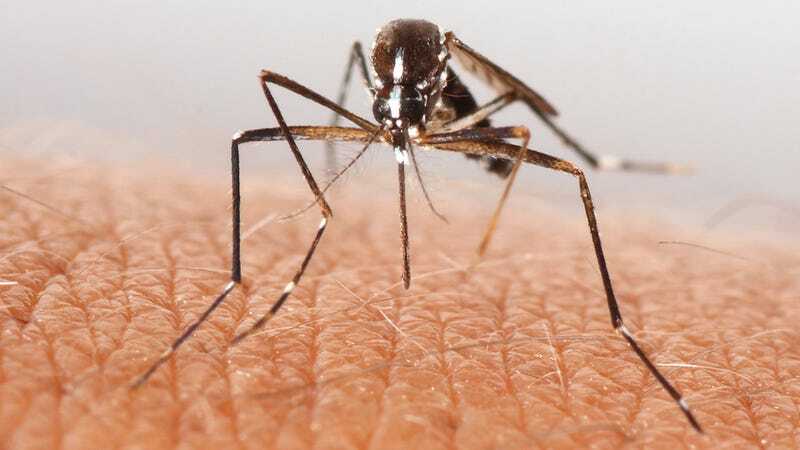 Local transmissions happen when a person infected with a virus is bitten by a mosquito, and that mosquito goes on to infect another person. Americans should “expect Zika to come to the United States”, Fauci said, while cautioning journalists not to make spurious assumptions about it’s potential spread. Other viruses, like Dengue and Chikungunya, are also spread by A. aegypti and are present on the US mainland, but they haven’t spread widely. As Schuchat explained, environmental and social conditions in the US are different than those in areas where Zika is endemic. The southern US doesn’t feature high-density urban centres, plus the US has better mosquito control and access to air conditioning (which allows Americans to stay indoors more often). What’s more, mosquito density isn’t as intense as it is in South America or the Caribbean. The NIH is accelerating research to get ahead of the virus. An immediate challenge is to develop better diagnostic tools to help scientists distinguish Zika from similar flaviviruses, namely Dengue and Chikungunya. “We will not have a Zika vaccine this year and probably not in the next few years,” Fauci said, adding that researchers hope to “start phase one clinical trials this calendar year”. Symptoms only appear in about 20 per cent of people who are affected by Zika, leading some to wonder if women who don’t show symptoms are somehow not at risk of having babies with brain damage. Schuchat said it’s “a possibility, but we don’t have the evidence”. Scientists currently suspect that injury to the foetus happens in the first trimester, but they’re not ruling out potential effects later on. Because Zika clears out of a person’s system relatively quickly, scientists don’t believe that women previously infected by the virus are at risk of having a baby born with the brain disorder. What’s more, a definitive link between microcephaly and Zika hasn’t even been established, but it’s certainly looking that way. On a global level, the WHO held a special meeting on Zika earlier today and will convene an emergency session on Monday to find ways to stop the virus. WHO Director-General Dr. Margaret Chan said the “level of alarm is extremely high, as is the level of uncertainty,” adding that Zika is “spreading explosively” across the Americas. Potential links to microcephaly and and Guillain-Barre syndrome (which can cause temporary paralysis) have “rapidly changed the risk profile of Zika from a mild threat to one of alarming proportions”.